Are you ready to earn your wings at the most exclusive flight school in the world? 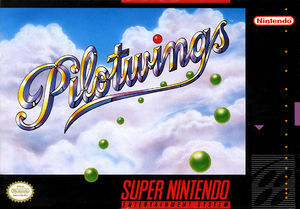 Then report immediately to the secret Pilotwings Flight Club, where your training begins! You'll see the ground twist beneath you as you jump from your plane and attempt a precision skydive (don't forget to pull your rip cord!). You'll relive the early days of flying as you bring your biplane in for a pin-point landing. After you master the basics, you'll be called on to test an experimental rocket pack, soar in a hang glider, and pilot an advanced attack helicopter in a hazardous rescue mission. The graph below charts the compatibility with Pilotwings since Dolphin's 2.0 release, listing revisions only where a compatibility change occurred. This page was last edited on 20 December 2017, at 04:19.